This course is designed to teach students the four main methods of warm zone care during active violence incidents. The course will discuss driving tactics as well as a reasonable expectation for success during active violence incidents. This course will expose law enforcement, fire and rescue personnel, as well as other public safety partners to operating in a warm zone environment to provide point of wounding care to patients. This course will provide Tactical Emergency Casualty Care lessons so that all participants can provide appropriate point of wounding care. This course will discuss command and control considerations including the establishment of unified command, common operating language, and essential on scene functions that must be performed for the incident to be successful. This course will provide the student with ongoing training ideas for their department as well as identify some common barriers that must be overcome. As a Professional Firefighter/Paramedic since 2009, Nate has spent time assigned to the Technical Rescue Team of the Arlington County Fire Department as a Specialist. 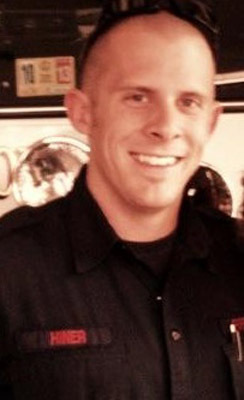 Nate is a core member of the ACFD High Threat Response Program taking the lead in training, policy and procedure development, as well as outreach. Nate is a member of the Tactical Emergency Casualty Care programs Board of Advisors and assists in delivering adjunct instruction with his local police departments tactical training unit. Nate has taught fire, EMS, police, and other organizations TECC and Rescue Task Force. Nate currently is a member of the Northern Virginia Joint High Threat Committee, the Washington DC Council of Government Complex Coordinated Attack Group, as well as the COG Fire Intel Subcommittee. Nate was a key contributor to the Interagency Boards Active Shooter workshops to develop guidance on organizations attempting to develop an active shooter response program.